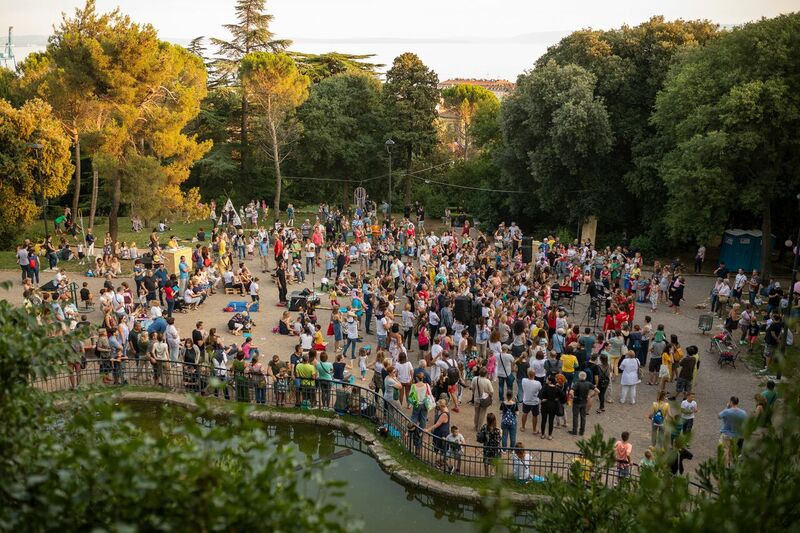 This event, borne from joint labour of numerous programme and project partners, was launched on 15 June and concluded on 8 September on the same spot in presence of several thousand people. 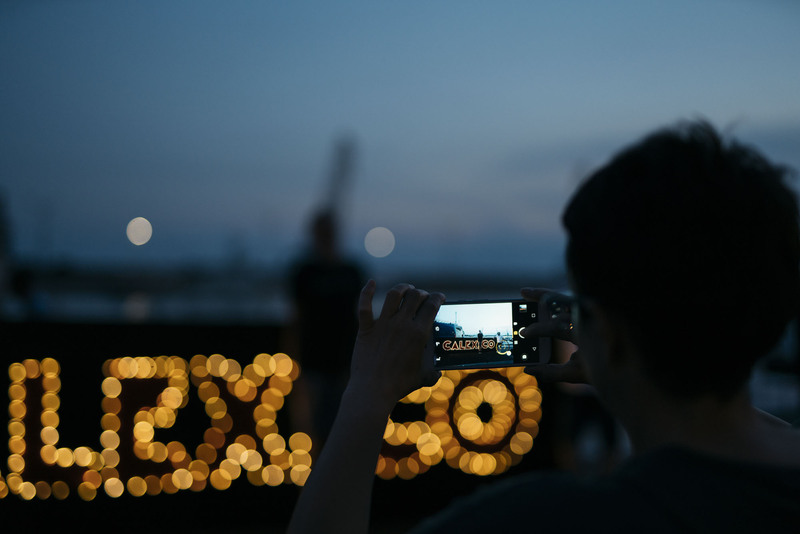 Therefore, let us recall the exciting Summer in the City. 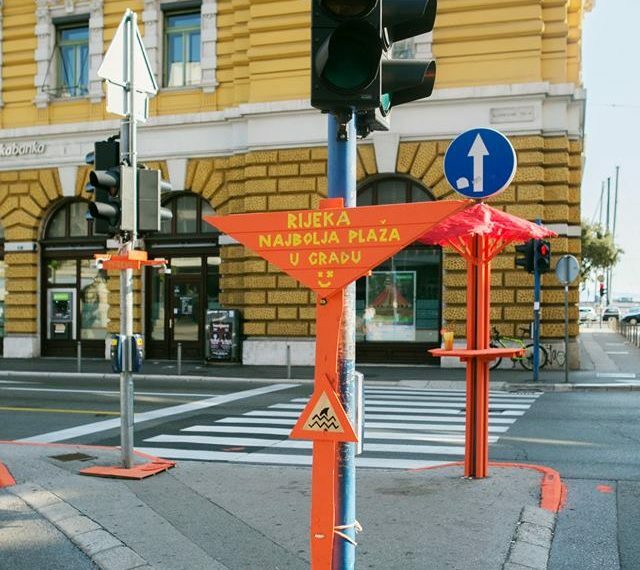 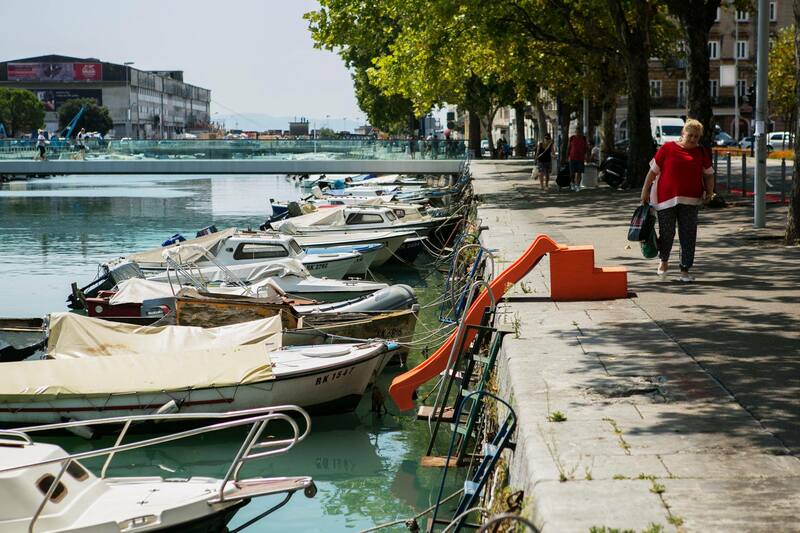 As it opened the Summer in the City, Rijeka 2020 also opened its gates. 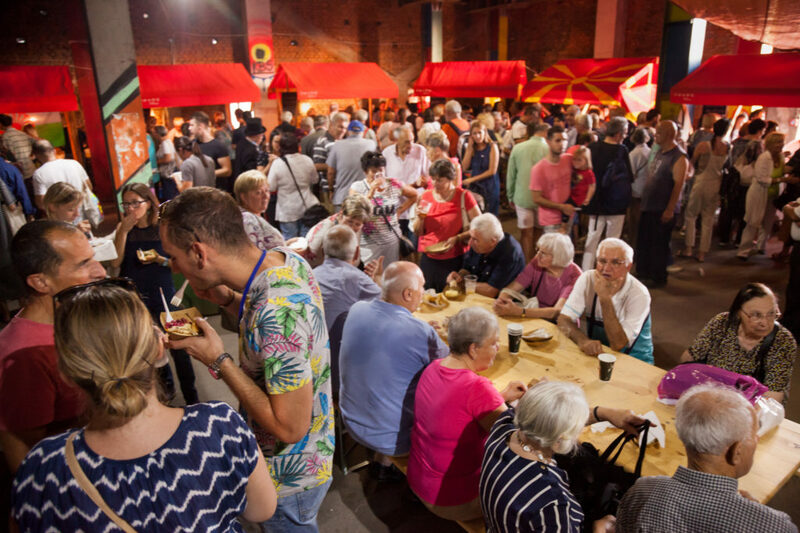 All its visitors were able to take a stroll through the Delta 5 building and chat with all its “tenants” and it was also possible to sample the “workers’ cuisine” dished out by the Pensioners’ Convention. 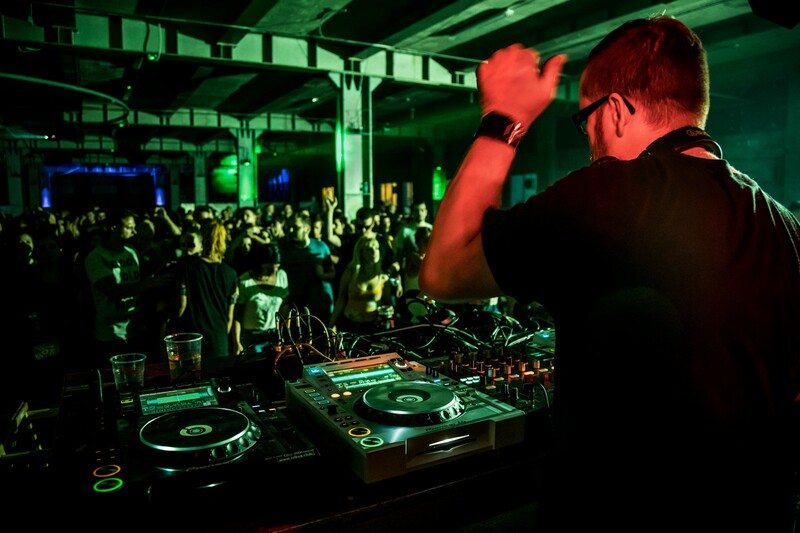 Furioza Cycle music programme started on the same day with a performance of the band Punčke and DJ Ana Antonova. 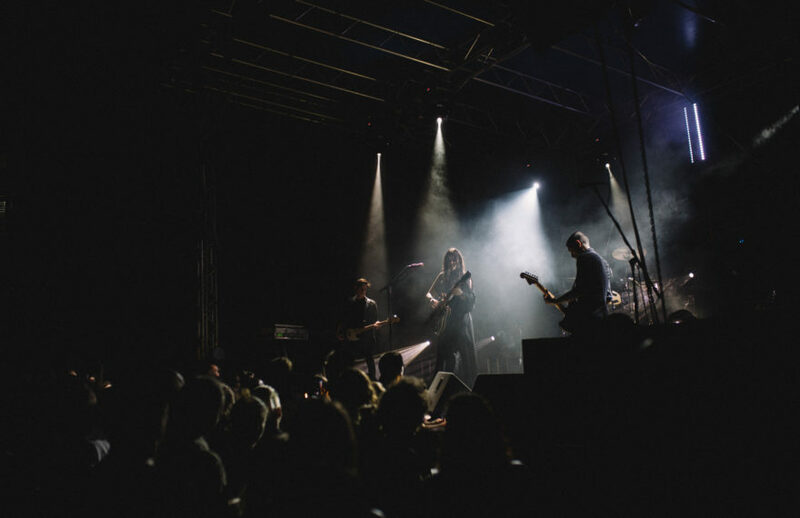 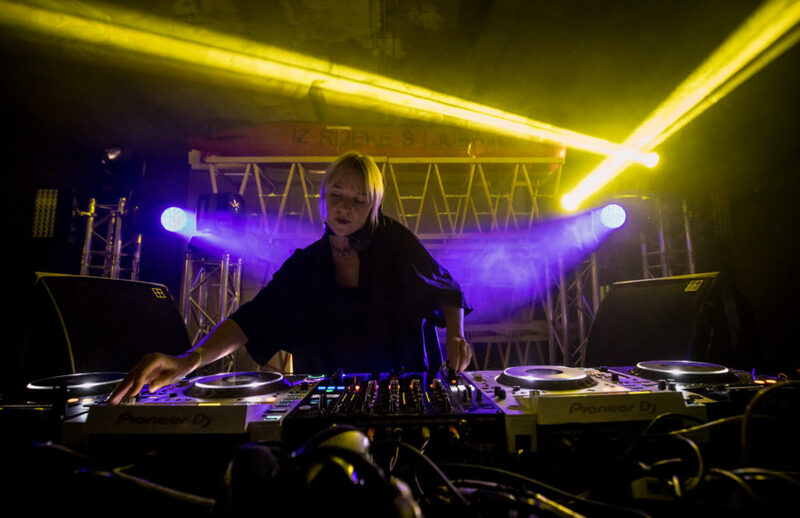 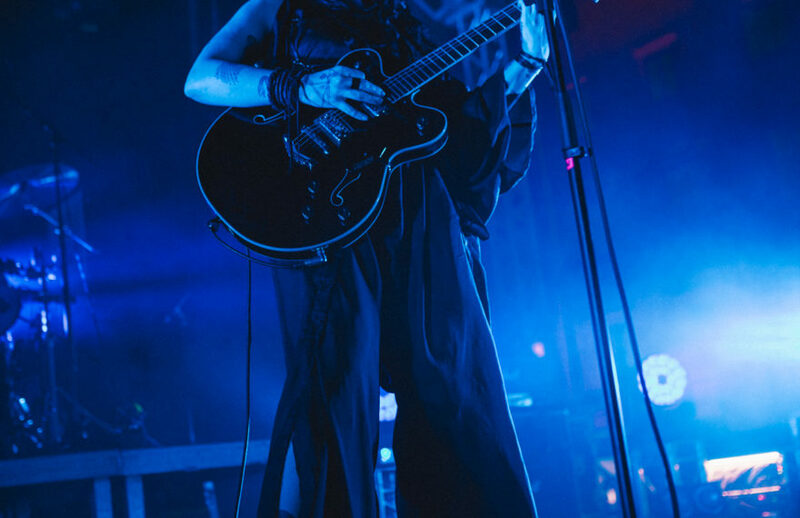 In the course of the summer, we enjoyed post-punk, gothic rock and indie rock as well as techno – all brought by women. 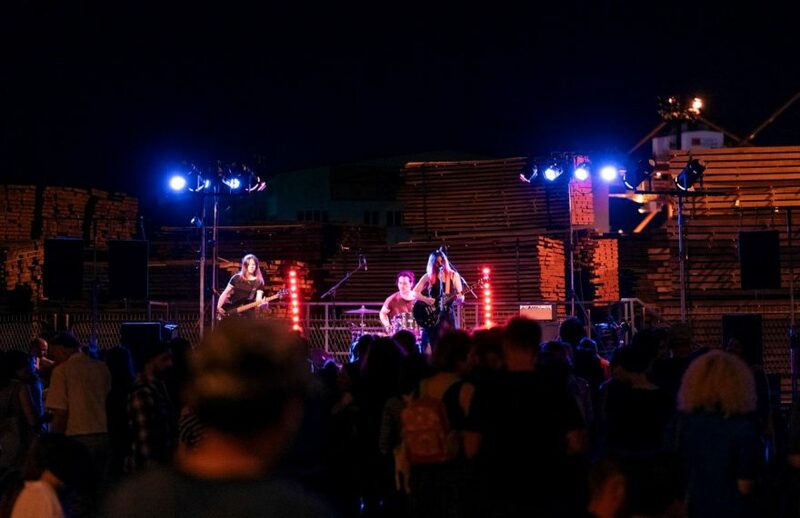 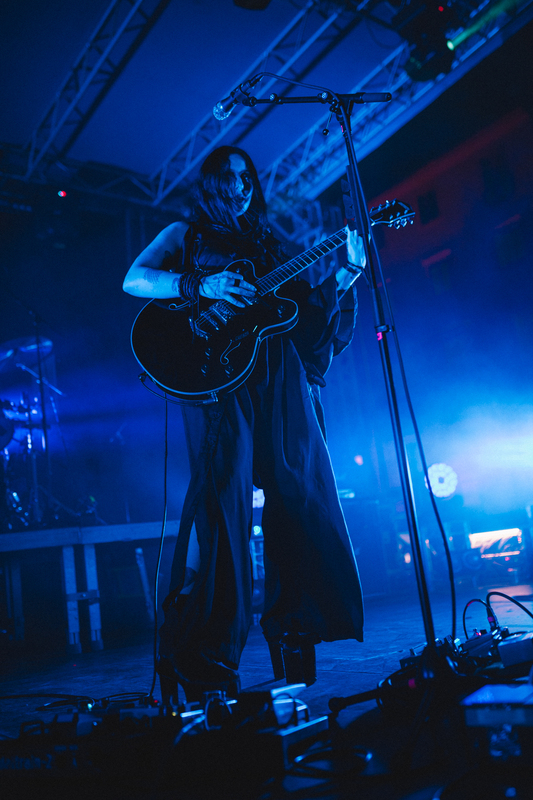 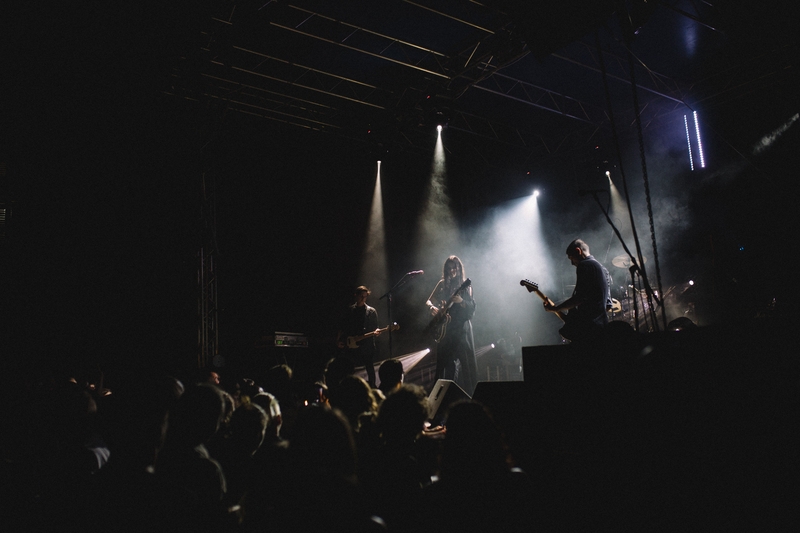 On the first day, we had a unique opportunity to listen to American musician Chelsea Wolfe at the Riječke rezolucije Square, and to dance to the tunes of Inga Mauer and Rrose at Exportdrvo on 25 August. Summer Art Cinema launched its eighth season under the stars and clear skies on Friday, 15 June with a weekend of Mediterranean film – featuring the winner of the Sundance Film Festival, Butterflies. 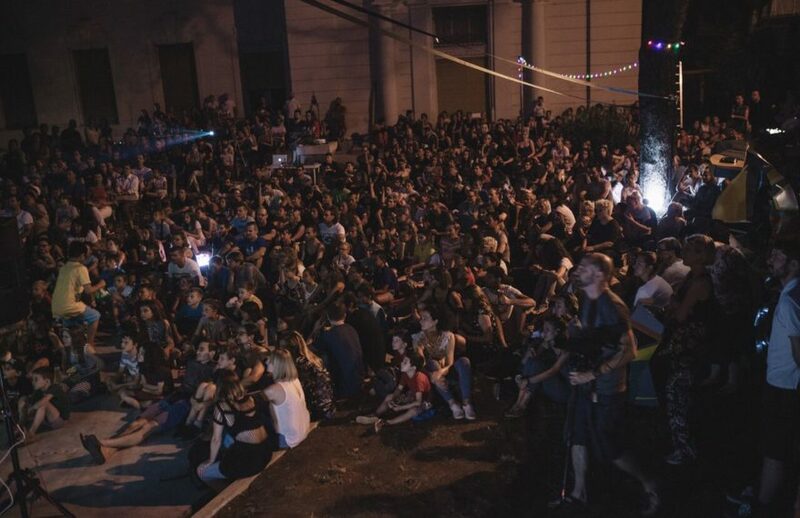 Open-air film screenings continued until 27 July whenever rain permitted them. 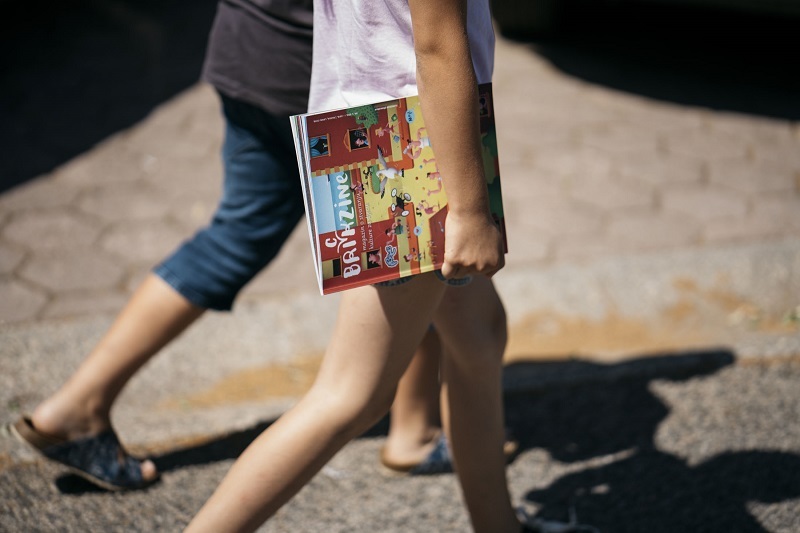 This year, Summer School of the Centre for Advanced Studies Southeast Europe researched one of the most important present-day issues: how to think and what to do with violence in the society. 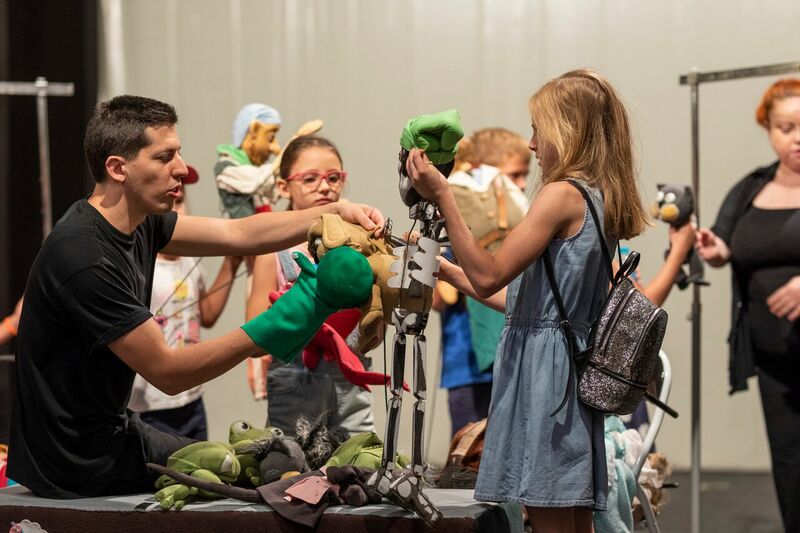 In June, we had an opportunity to hear a Judith Butler’s lecture on the topic of interpretation of non-violence and see the play Turbofolk RiLOUDID directed by Oliver Frljić. 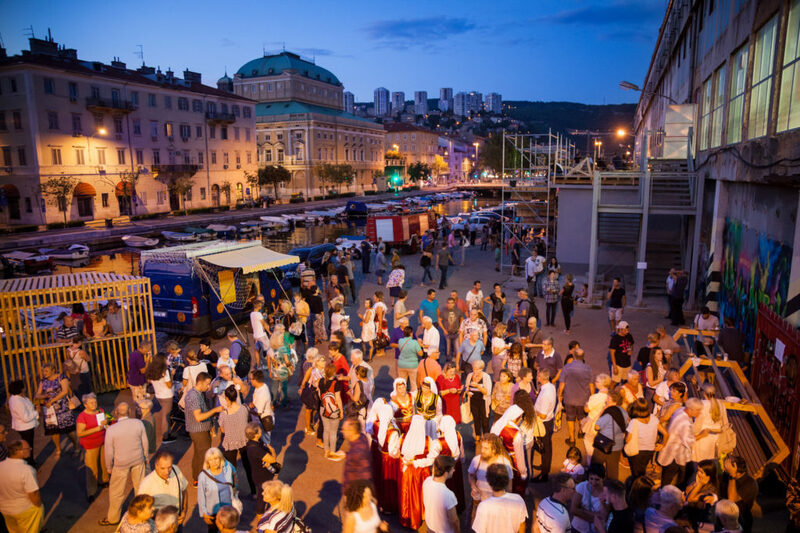 Another socially involved event was organised on 26 June at the Kantrida Swimming Pools where theatrical performance “Welcome” premiered. It was produced by the Kontakt Association from Sarajevo. 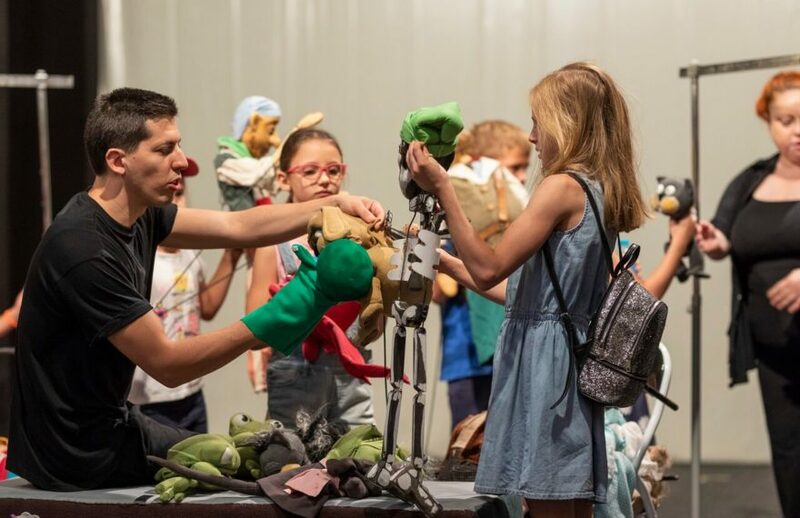 This show, dedicated to refugees, sent a strong message on the refugee crisis as a shameful facet of the 21st century. 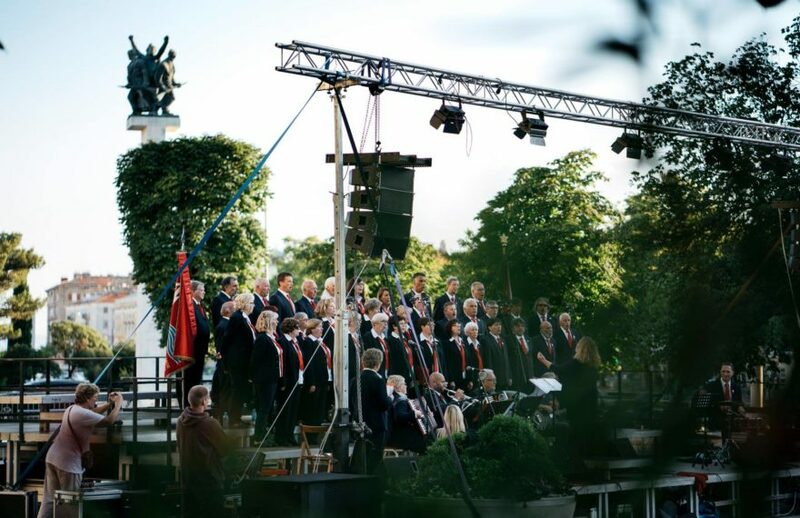 The Anti-Fascist Struggle Day was marked on the Tito Square by the Crvena Rijeka Choir performance organised by the “Samoupravna interesna zajednica” (SIZ) and Rijeka 2020. 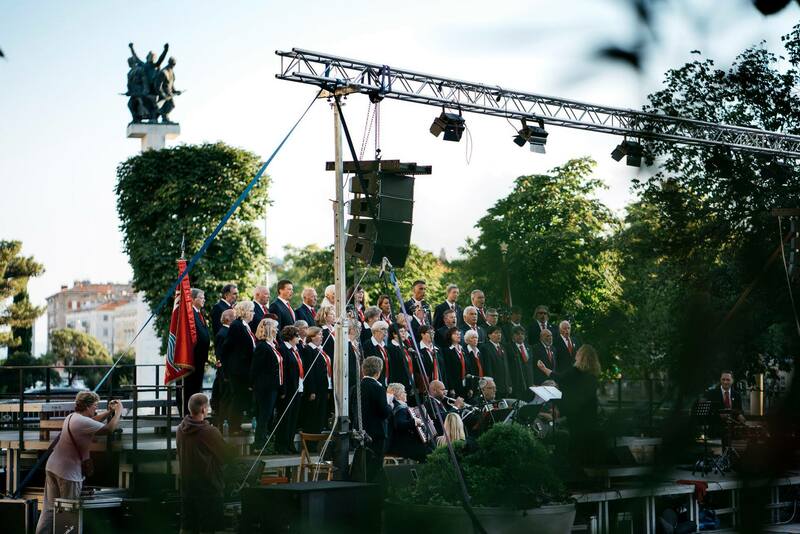 The Tržaški partizanski pevski zbor Pinko Tomažič and KUU “Jeka Primorja” mixed choir performed before a large crowd. 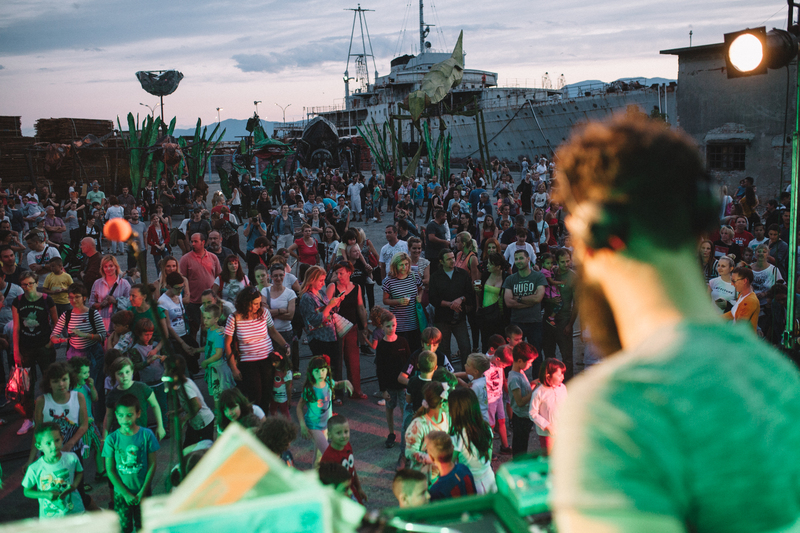 A festival for the youngest ones – Tobogan – took place involving the children rather than merely for the children. 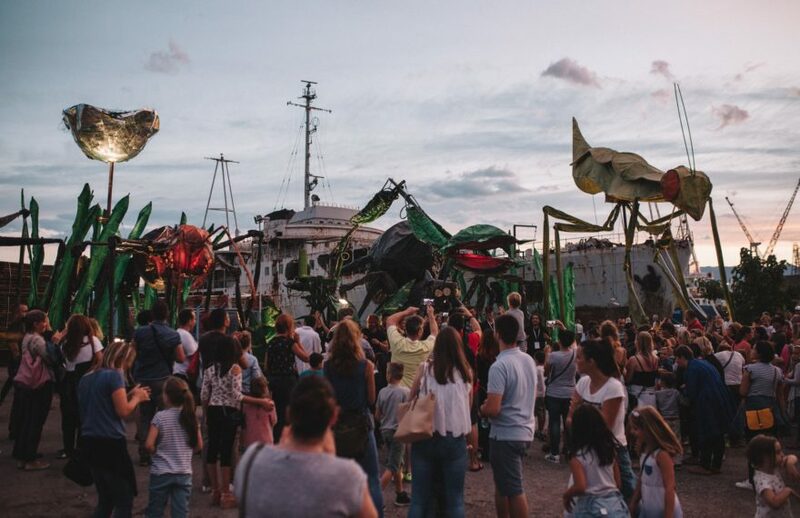 For the second year running, the organisers, children and parents, have proven that summer holidays may be a lot more than boring, empty city. 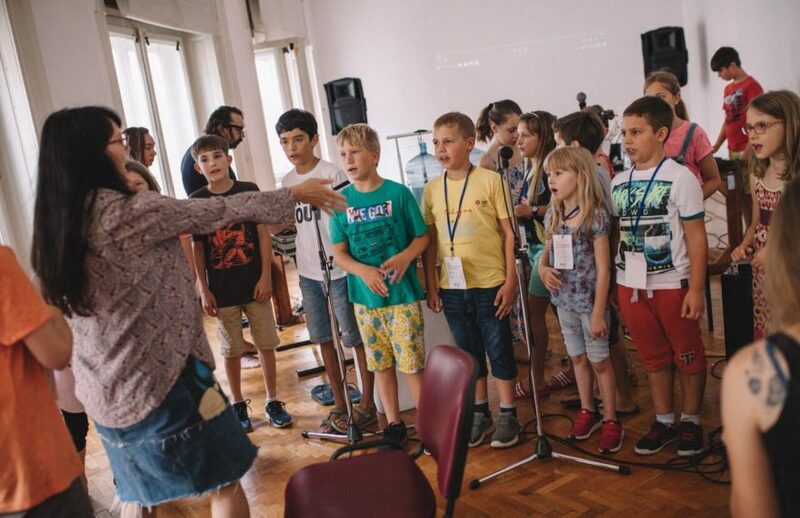 Over two weeks of densely packed, diverse programmes, the children enjoyed cultural events and produced them with some help from a bit older mentors. 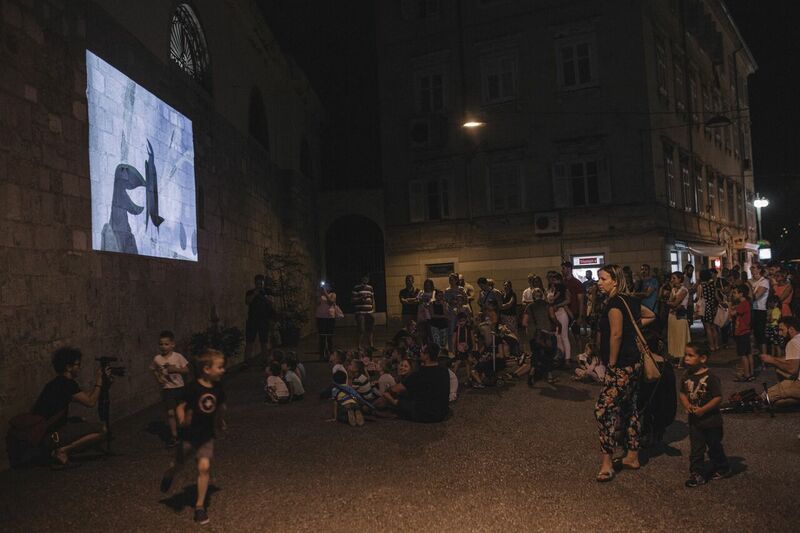 Art-Cinema, City Puppet Theatre, Rijeka City Library, Museum of Modern and Contemporary Art and Benčić Youth Council were there. 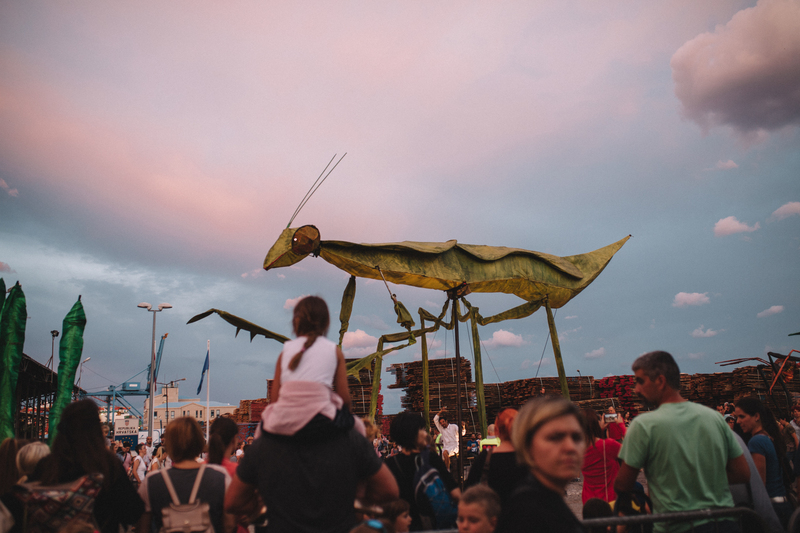 We believe that the sights of the magnificent opening of the Tobogan, accompanied by an invasion of large insects, shall be long remembered. 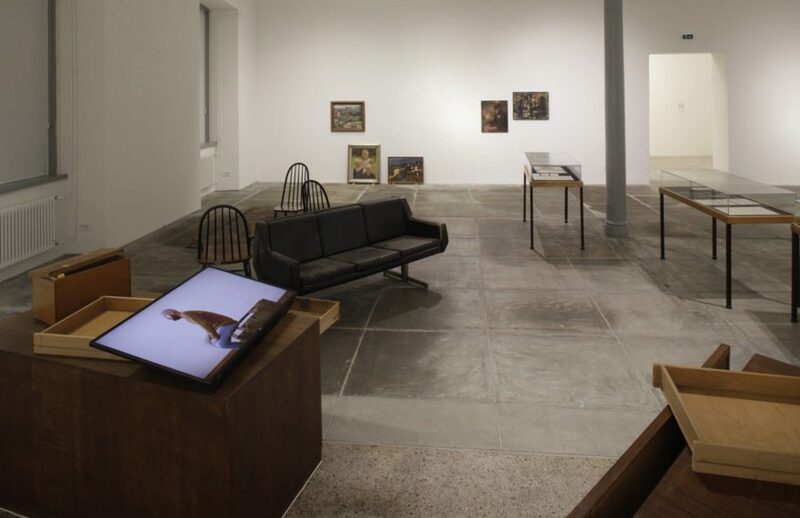 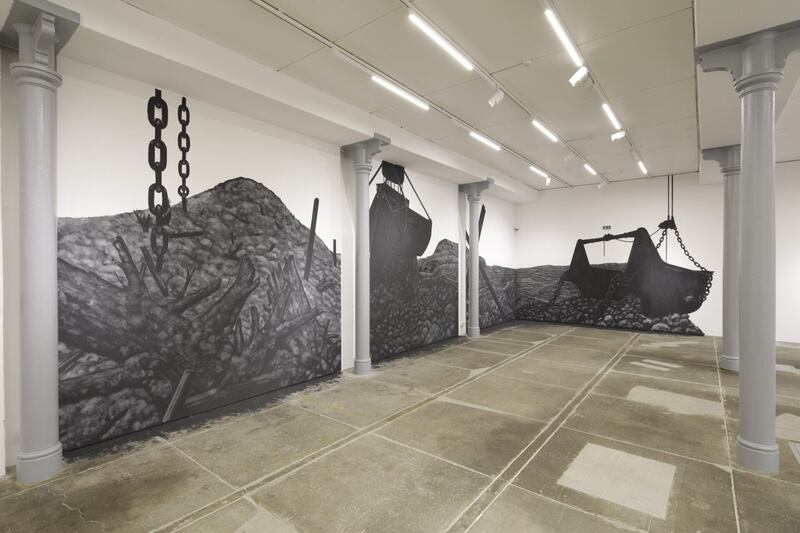 At the second Industrial Art Biennial, works by more than 20 national and international artists were presented within the framework of the Dopolavoro Programme. 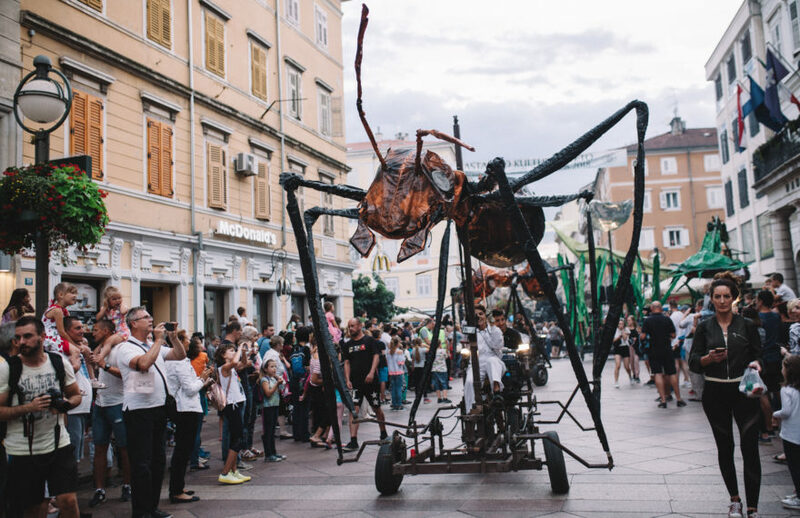 The title of the Biennial – On the Shoulders of Fallen Giants – refers to legends and folklore of Istria as well as collapse of the former concept of social transformation which turned into violent maintenance of the status quo. 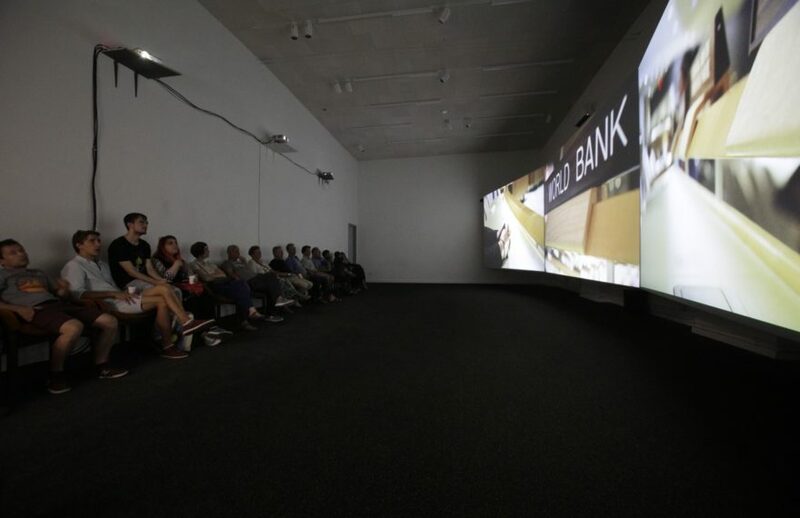 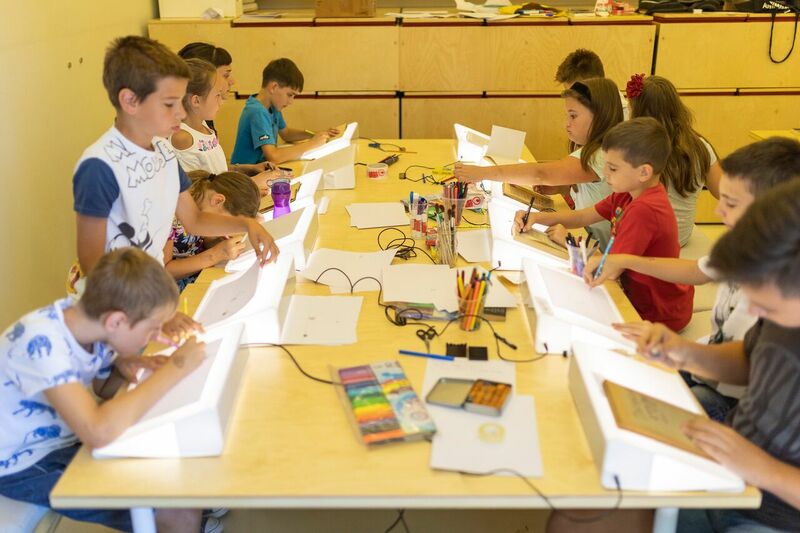 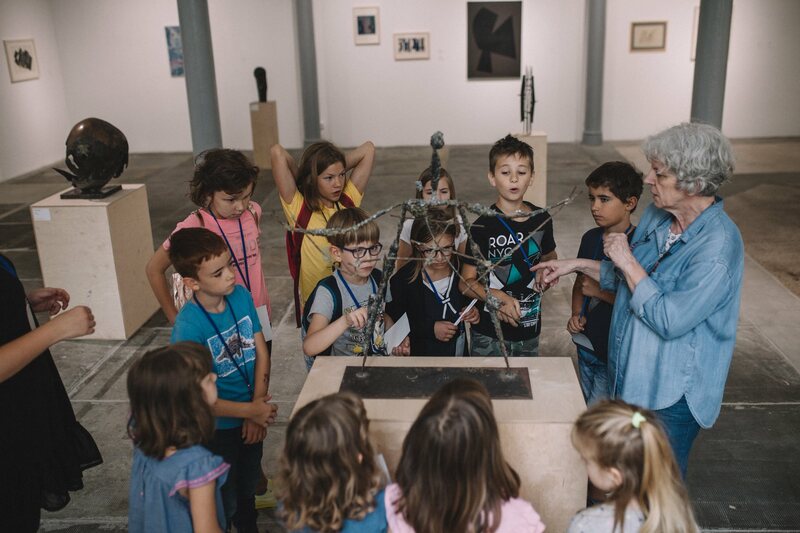 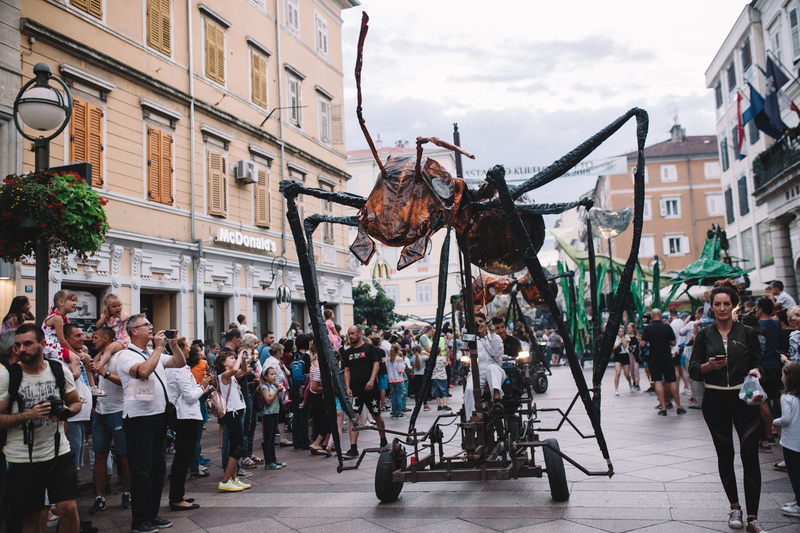 The Biennial organised by Labin Art Express XXI and supported by the Rijeka Museum of Modern and Contemporary Art and the Archaeological Museum of Istria took place in Labin, Raša, Rijeka, Pula and Vodnjan. 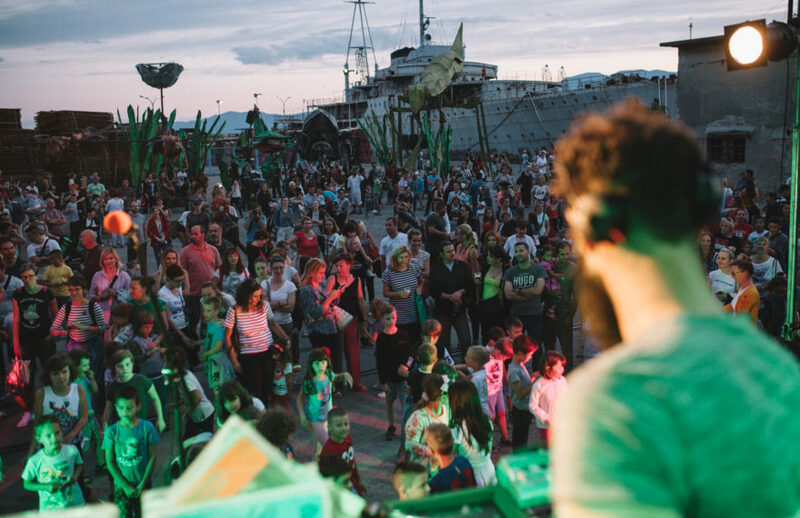 Sweet & Salt Programme offered a completely innovative multi-disciplinary project – Sailor Sweet&Salt Festival – to audiences, bringing together science, art and popular culture. The basis of this project is a musical and theatrical performance by Croatian artists Ivanka Mazurkijević and Damir Martinović Mrle and the mainstay of the performance and the festival was a tactile and auditory sculpture which shall be erected at the shores of the city of Rijeka. 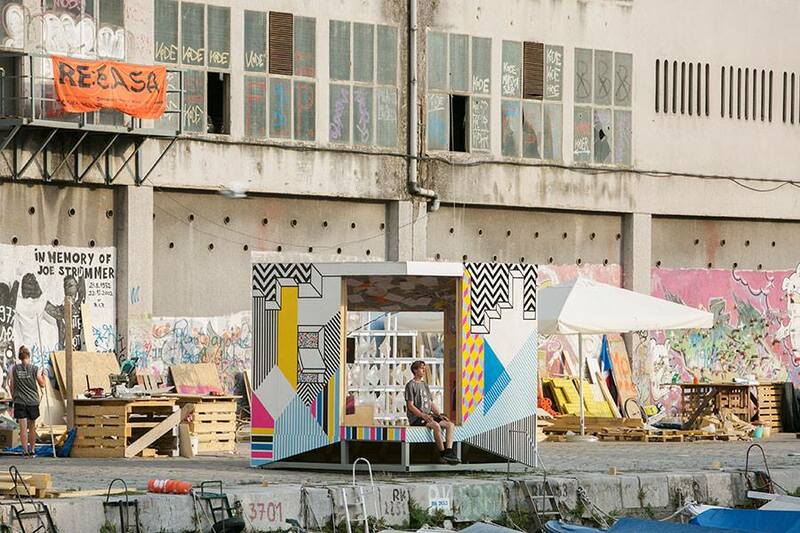 Its driving mechanisms shall be sounds of the city and materials found in its environment. 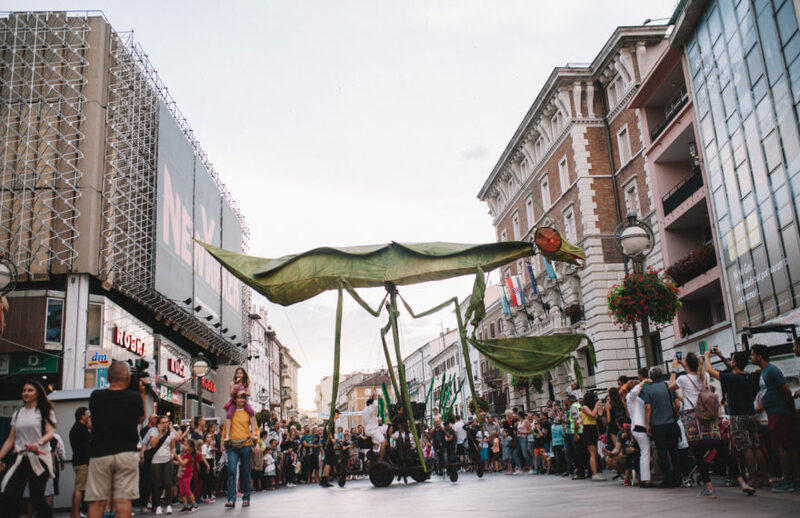 The musical part of the festival comprised performances by Darko Rundek i Ekipa, Urban & 4, Mr Lee & IvaneSky, Sara Renar, Svemirko and others. 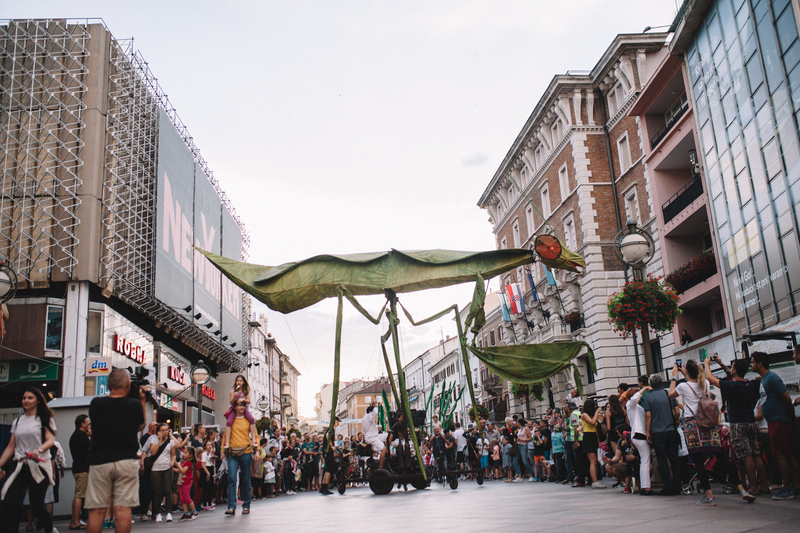 Perhaps the most prominent event of this summer was the one when Rijeka grew by more than 500 people. 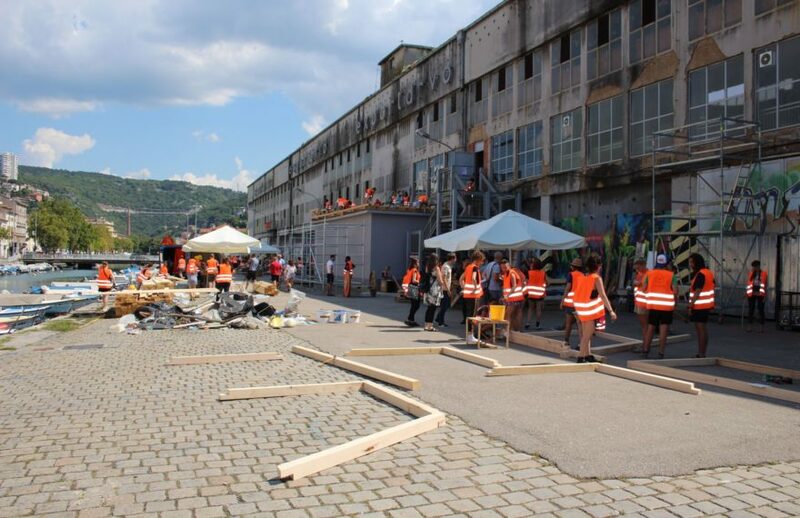 EASA, the largest international gathering of young architects, was organized as part of the Sweet&Salt Flagship with the enthusiasm of just six volunteers. 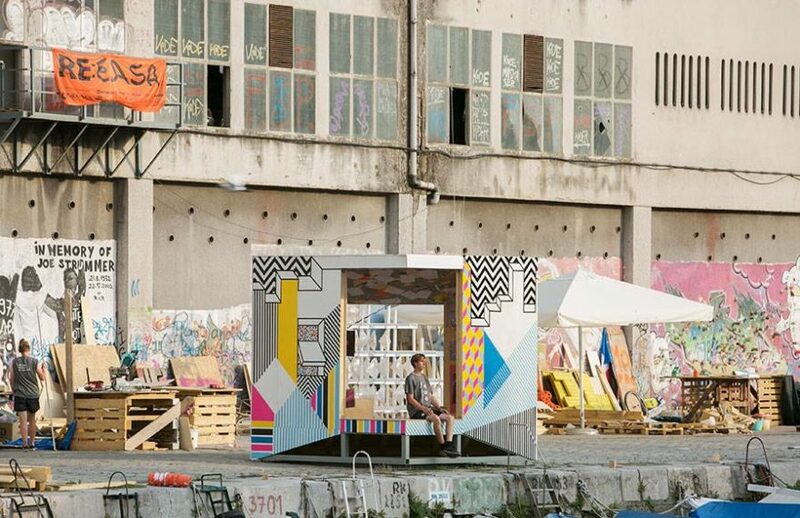 During their two-week stay, approximately thirty urban re-invention workshops were held – placing an emphasis on the Exportdrvo building and the wider area on the banks of Rječina and along the seashore. 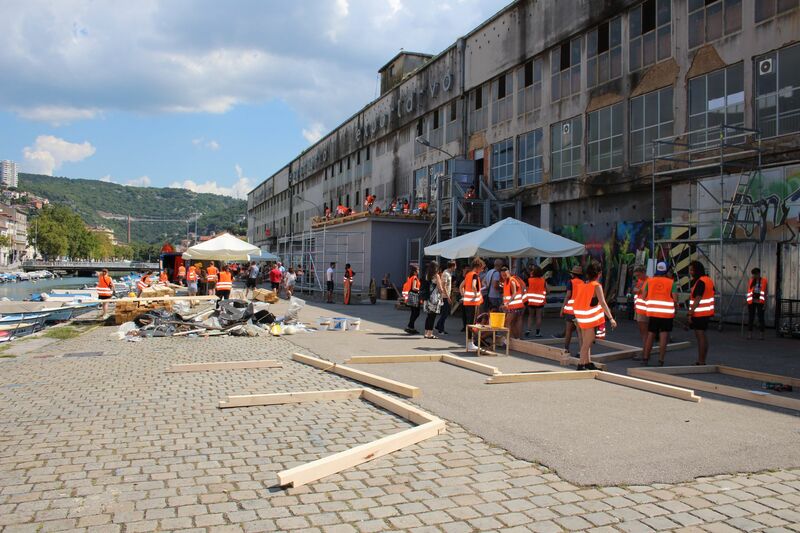 Results of the architecture students’ visit may be observed even today at individual spots. 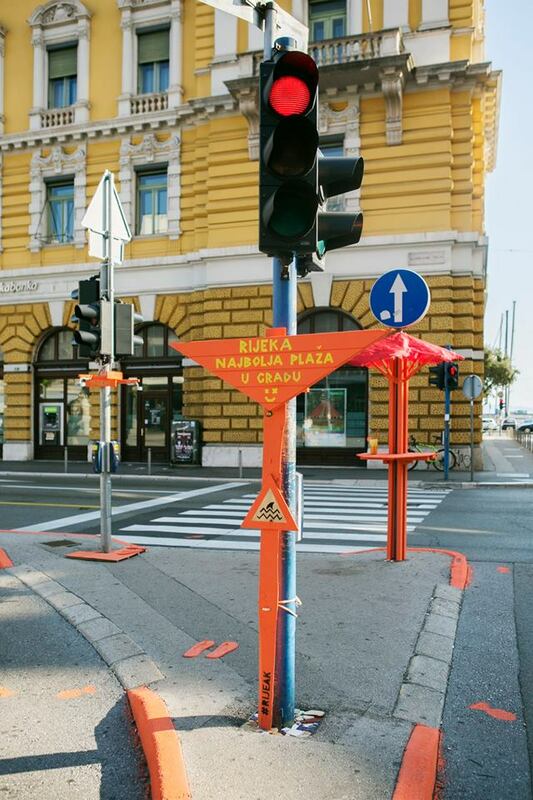 Remember them, for instance, the next time when you stop at the traffic lights at the Jadranski Square. 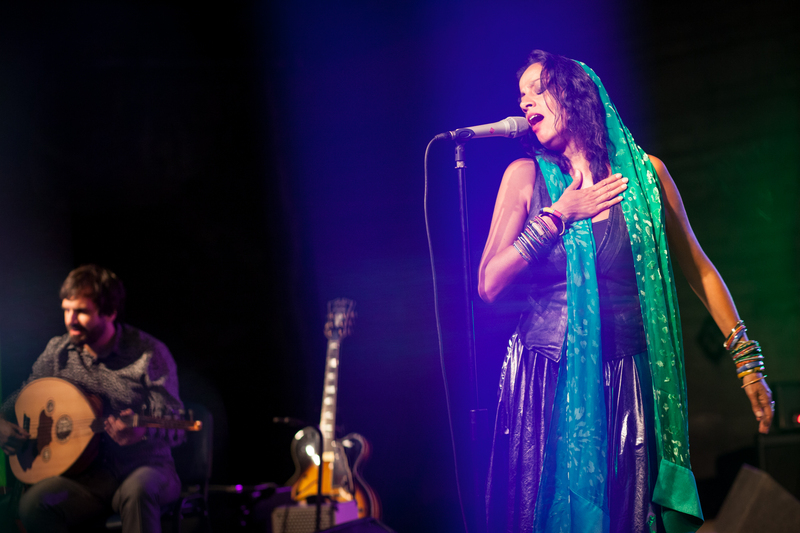 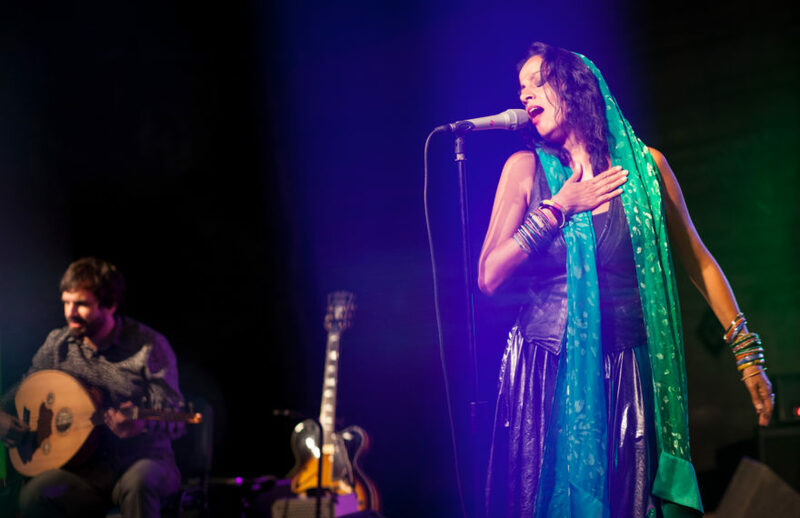 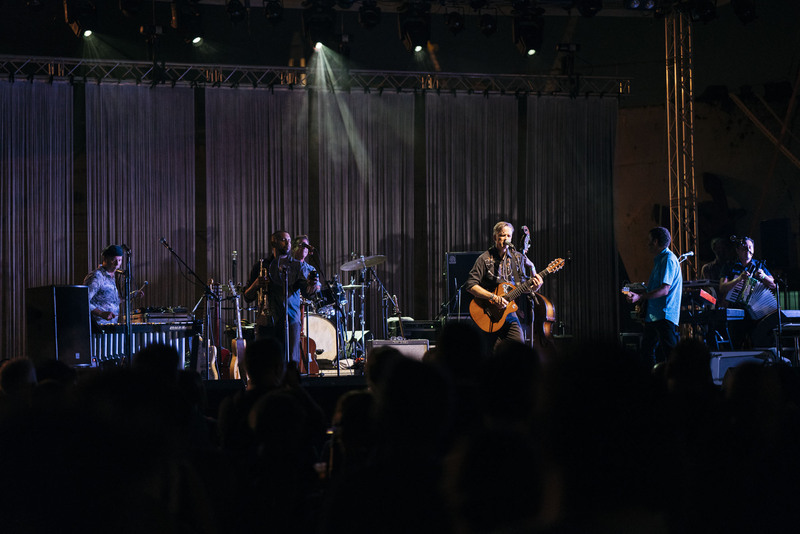 The finale of the Summer in the City belonged to the Music and Gastronomy Festival – Porto Etno. 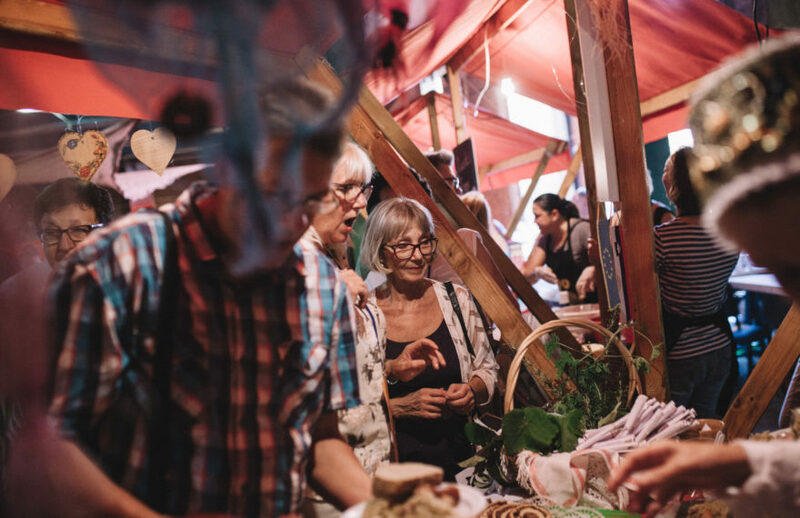 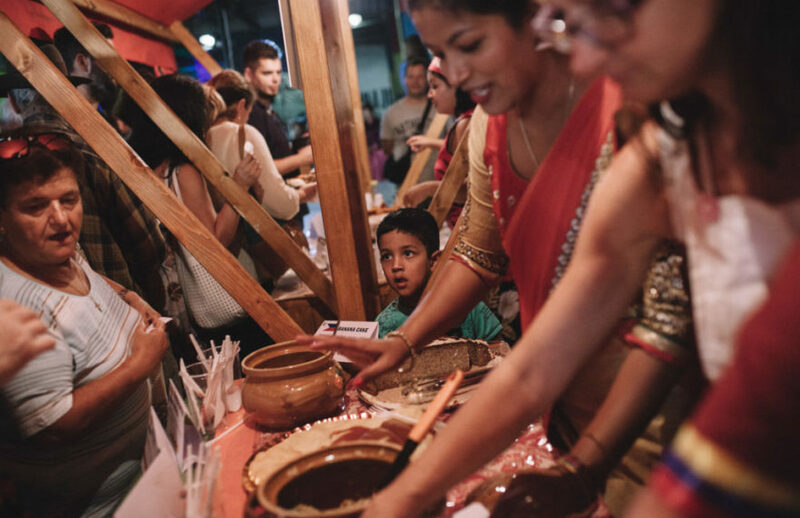 Some four thousand people responded to the call to travel around the world in two days as they enjoyed rhythms, songs, tastes and aromas of various cultures around the world at the Exportdrvo building. 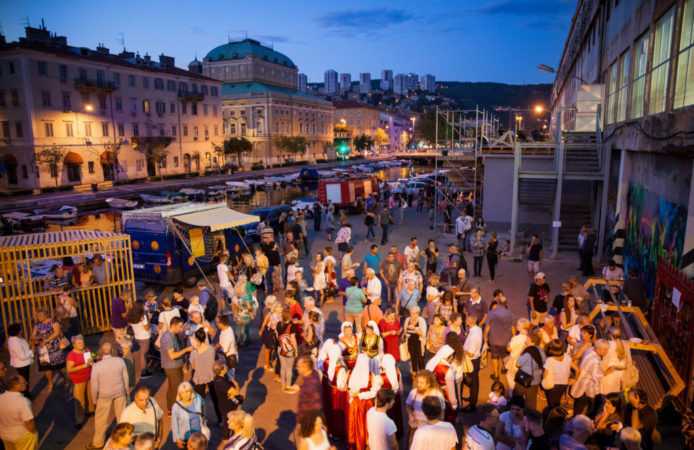 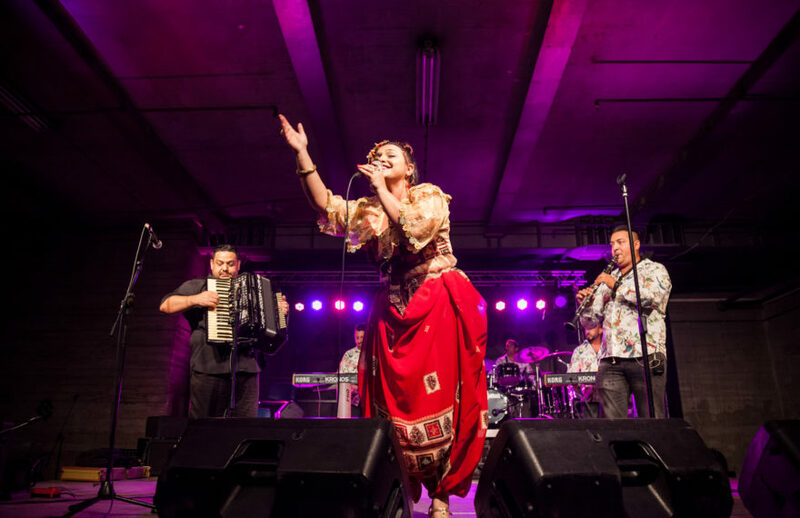 In the two days, the global culture centre hosted more than forty world music performers, seventy national cuisines, several workshops for children and folklore performances by associations of national minorities which are active in Rijeka. 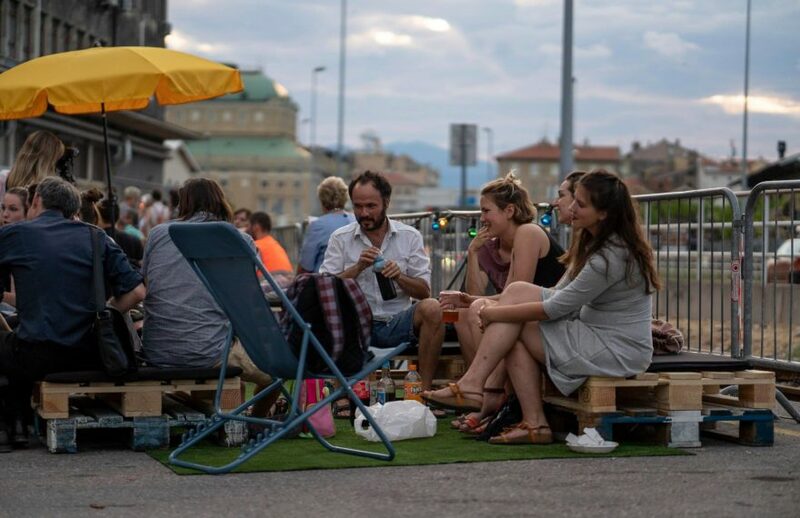 As we are saying goodbye to hot weather, we are impatient to welcome the following, even bigger and more abundant summer in the city. Join us!